Engage mobile members without alienating your web or desktop members! 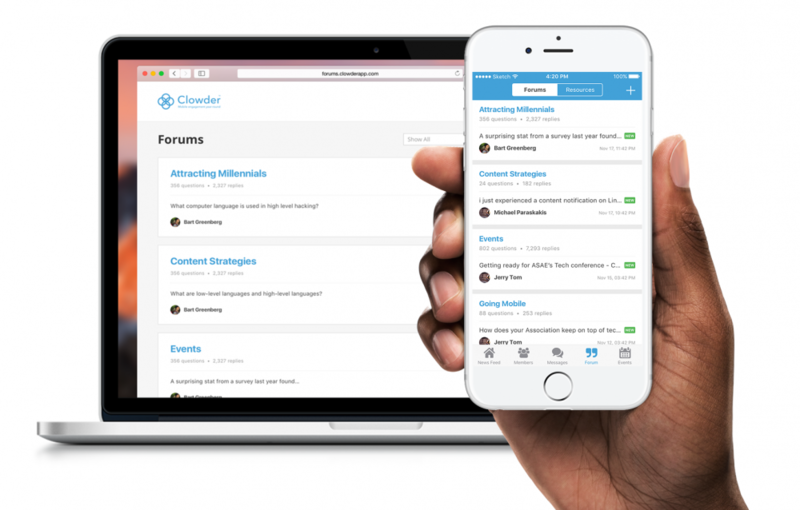 Members can now connect through forums across all platforms with Clowder’s new forum functionality. Whether your members choose to engage through web or mobile, forum interaction is universally in sync and updated in real time. Utilizing both web and mobile for forums expands and enhances member engagement among all user types. This also allows organization-wide discussions to take place in one centralized location regardless if they are accessed on a computer, tablet or phone. Clowder® provides all information and guidance needed to easily integrate a web version of forums into any site. For more information on how this functionality can impact your organization and member connectivity, schedule a custom demo!